Bulldozer tracks in the sands. No rain, wind or tide had yet disturbed the crime scene. There is a fetid odor arising from what’s left of the sands of the horribly mangled Coral Spring Beach in Trelawny, Jamaica, and it’s not just piscean, this odor, but the stink of rattus norvegicus. We can smell the rat from all the way over here thousands of miles away. I guess with all the tragedy and loss of life that currently afflicts Jamaica, there is every need for a circus to lift the spirits of the downcast and downtrodden, but this latest saga of “Who Moved My Sand?” is stultifying. 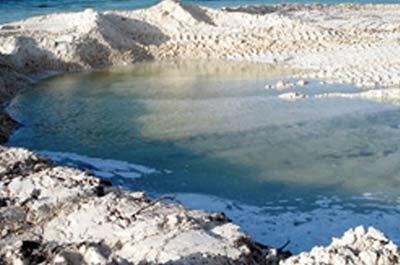 Really though, before we get our knickers in a twist, there are several questions worth asking: Over what period did 500 truckloads of white sand disappear from this beach? Did no one observe this activity? Wasn’t there any security? When was the last time that the owners of the property visited the area? One statement seemed to suggest that the beach was in pristine condition even a month ago, so we must conclude that intensive mining in four weeks netted 500 truckloads of sand. Woe betide the resorts, especially those non-English-speaking ones, whose beachfronts boast the composition of the sandman’s sample when he comes a-testing! But there is always the scientific method to ferret out the real culprits, the miners, or even those who contracted their services. NASA’s Earth satellites should be able to provide records of the beach activity and the many visitors to that parcel of land since its acquisition. Those records may be acquired by law enforcement agencies at a small cost. I hear the resolution of images is so high, it could read the registration of the very trucks that ferried the sand. No need for Sherlock Holmes or the usual four-month probe here; any Watson who is serious enough can unearth the elements of this mystery. Trouble is, some folks could end up with egg on their faces and sand in their eyes.